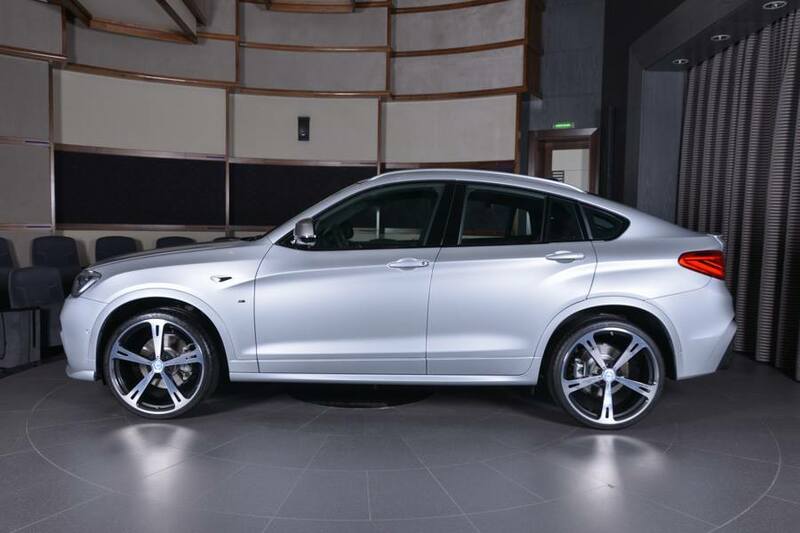 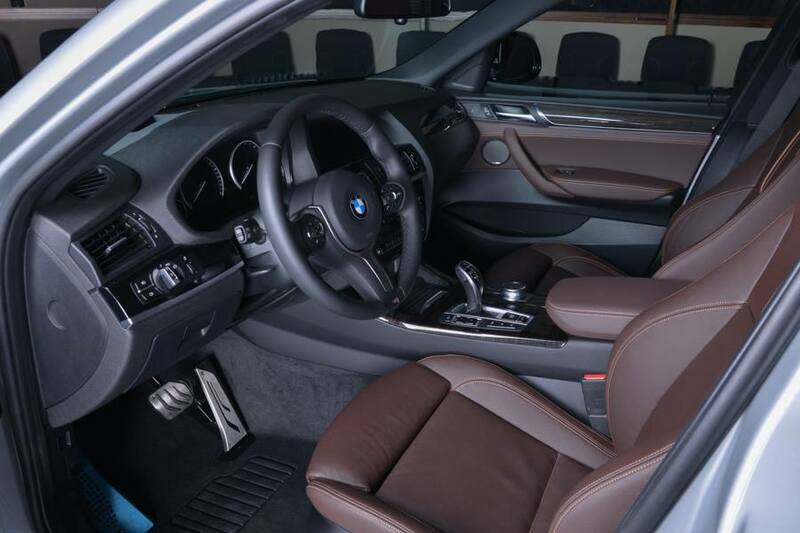 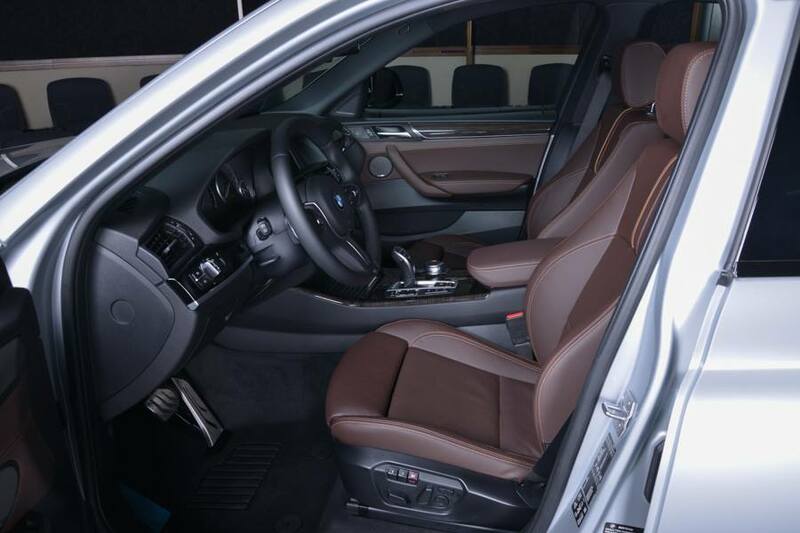 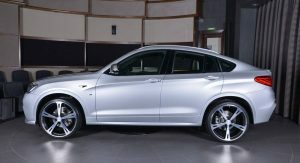 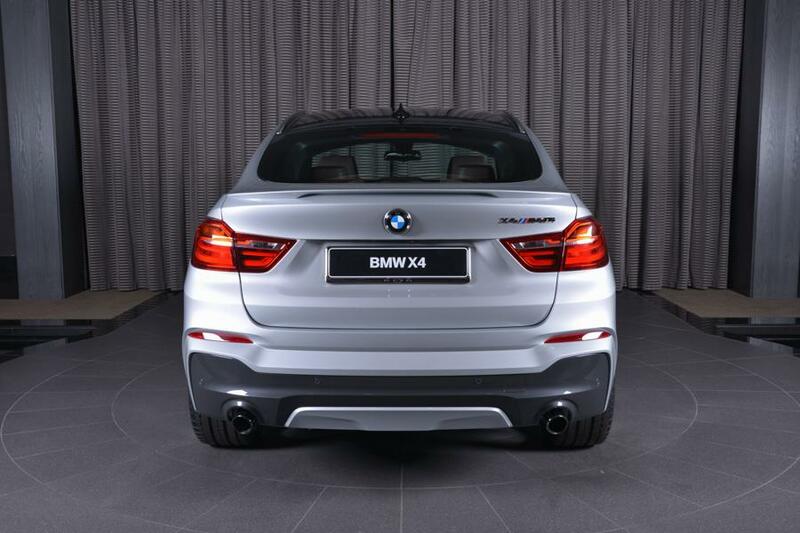 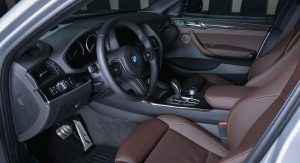 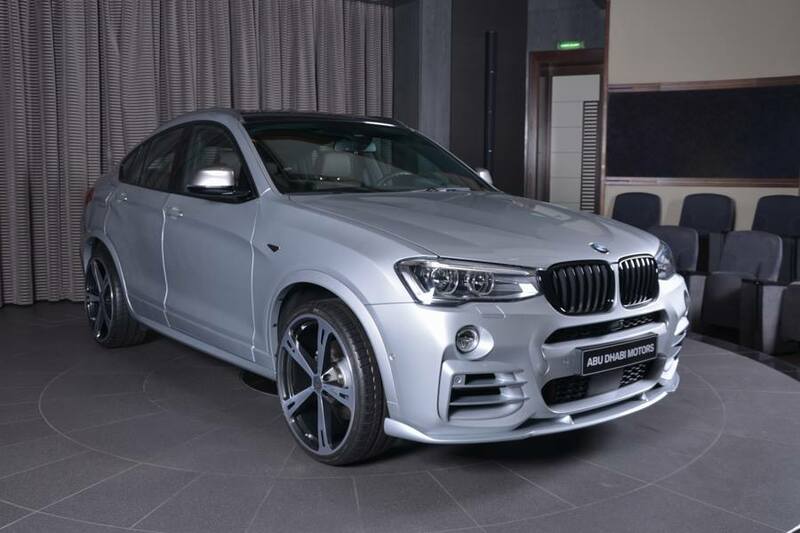 As the flagship model of BMW’s X4 range, the M40i does deserve to stand out as much as possible compared to less powerful versions. 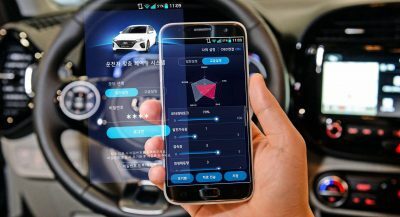 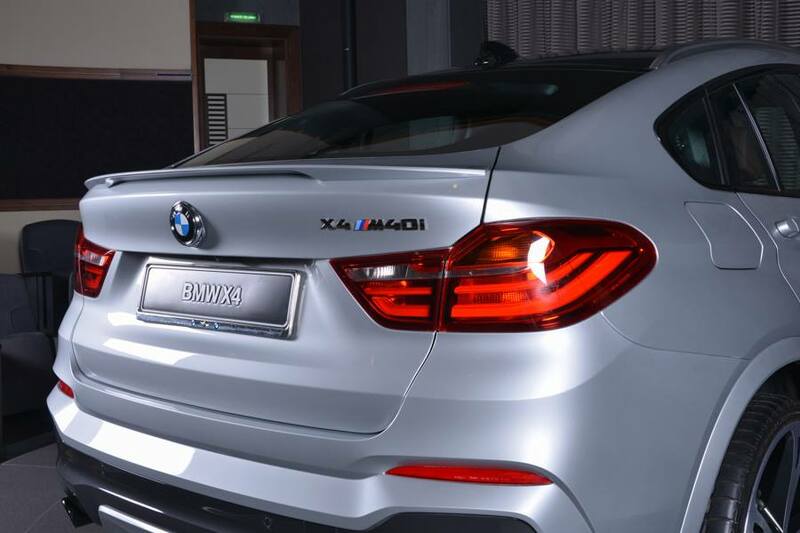 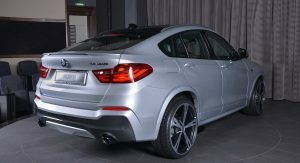 With that in mind, this X4 M40i boasts an increased camber up front, upgraded wishbones for more feedback, stiffer springs and reinforced stabilizers to help reduce body roll. 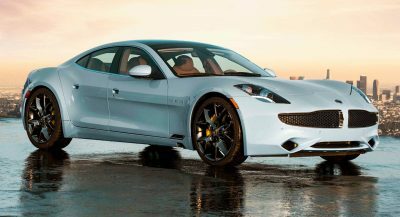 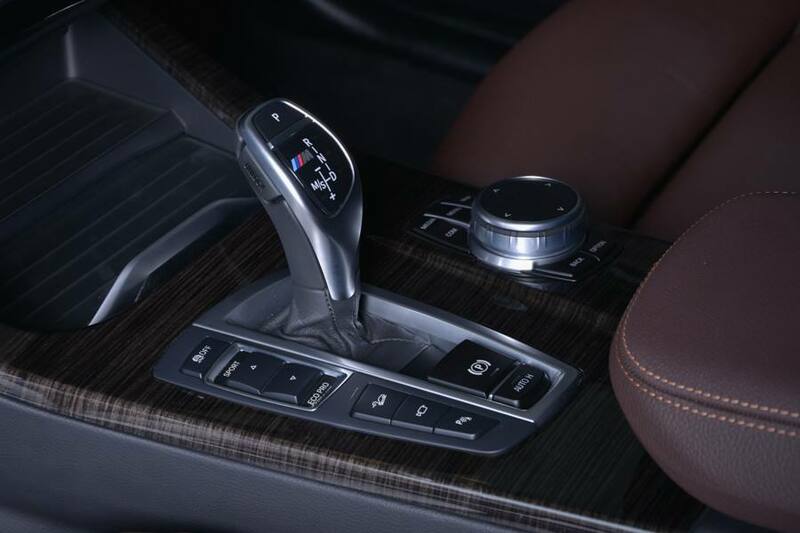 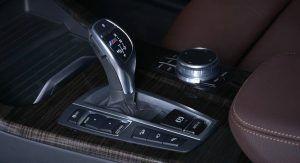 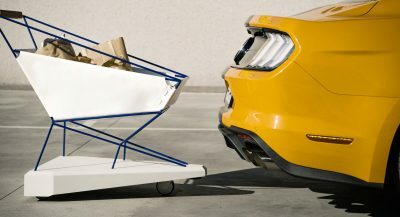 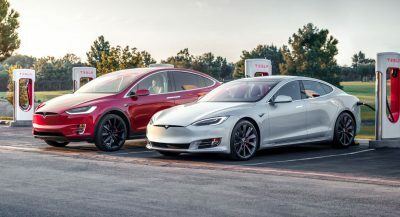 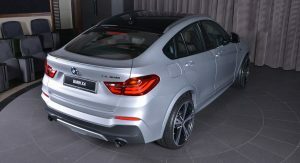 Add to that the 360 PS (355 HP) turbocharged 3.0-liter straight-six, and you’ve got yourself a luxury compact SUV that will get from zero to 100 km/h (62 mph) in just 4.9 seconds. 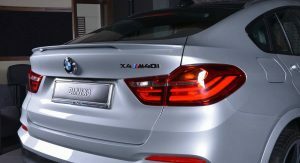 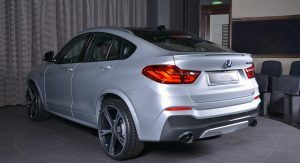 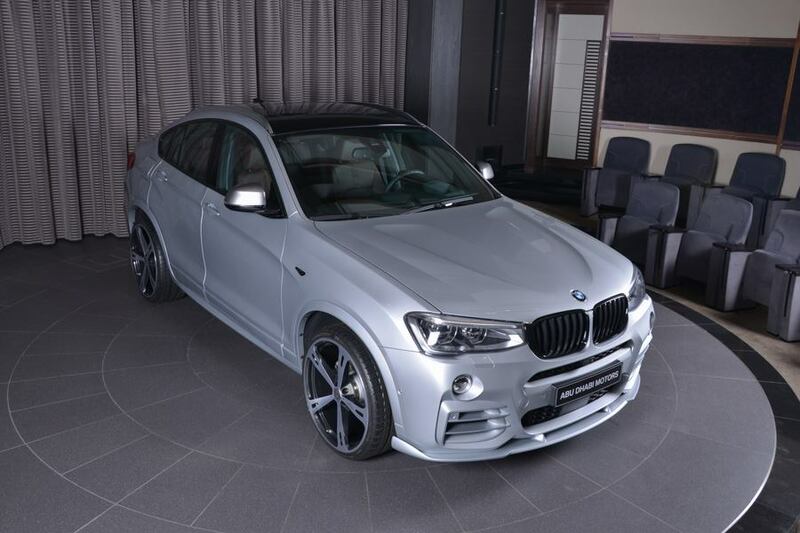 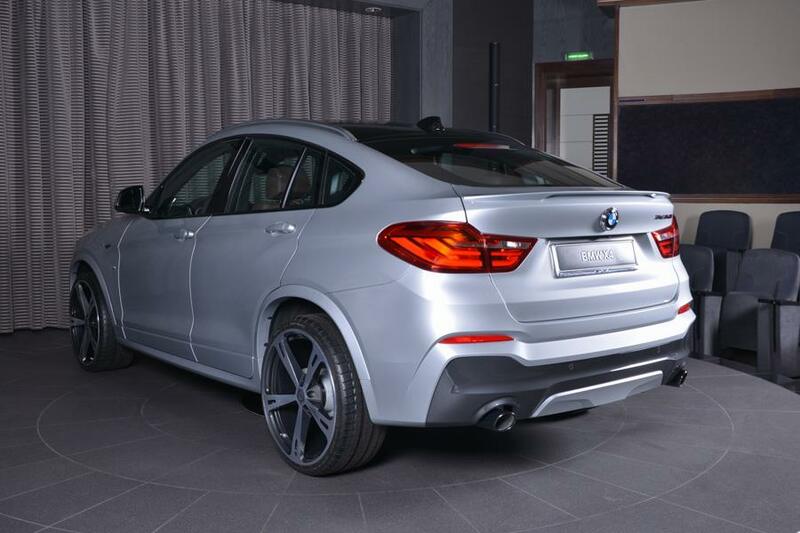 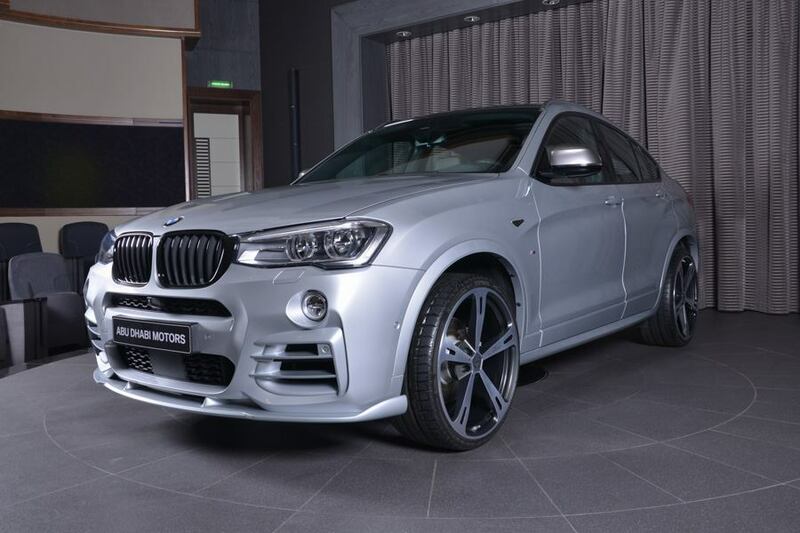 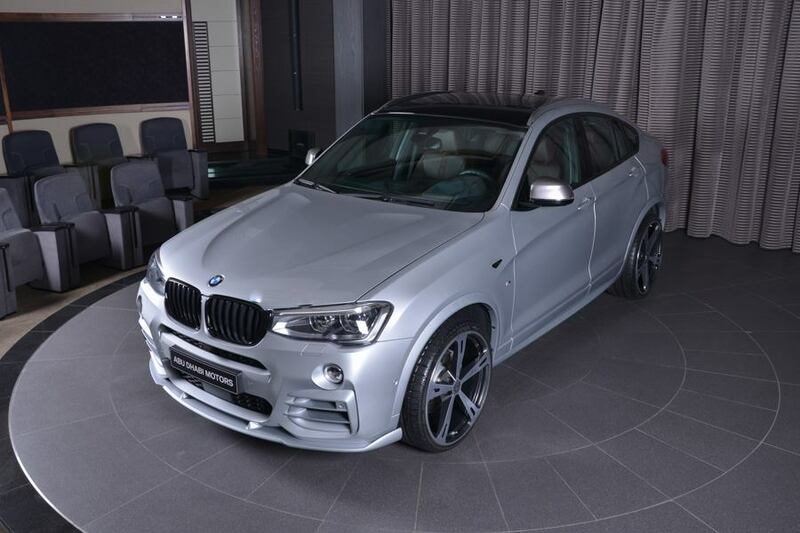 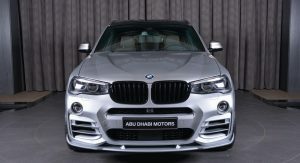 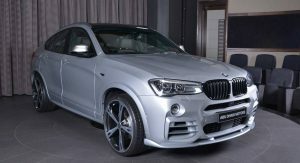 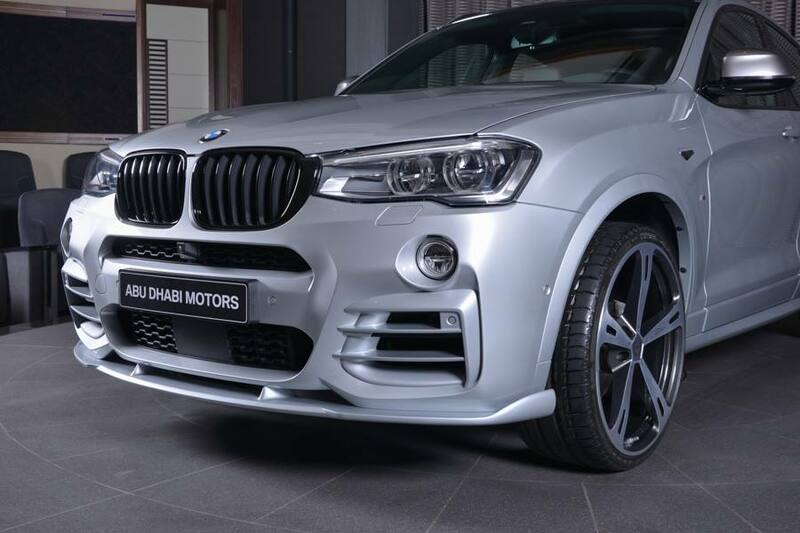 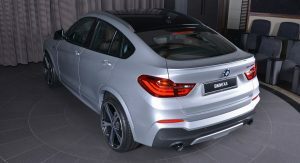 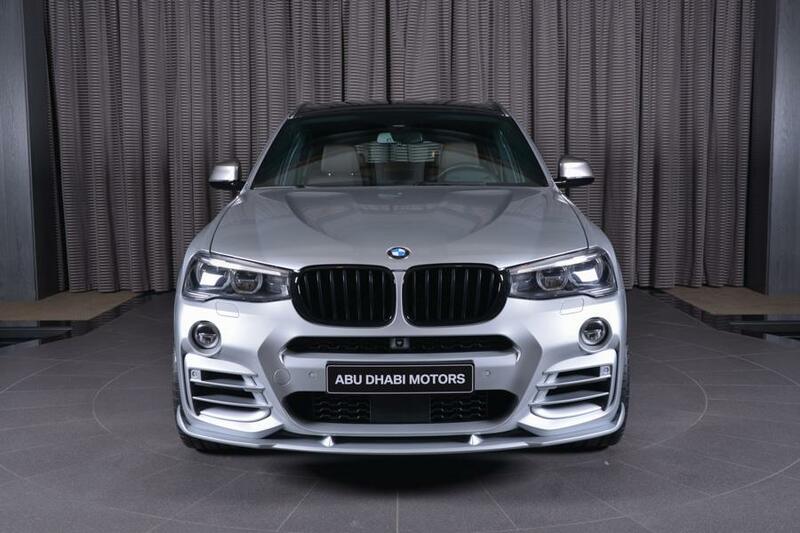 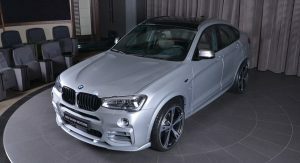 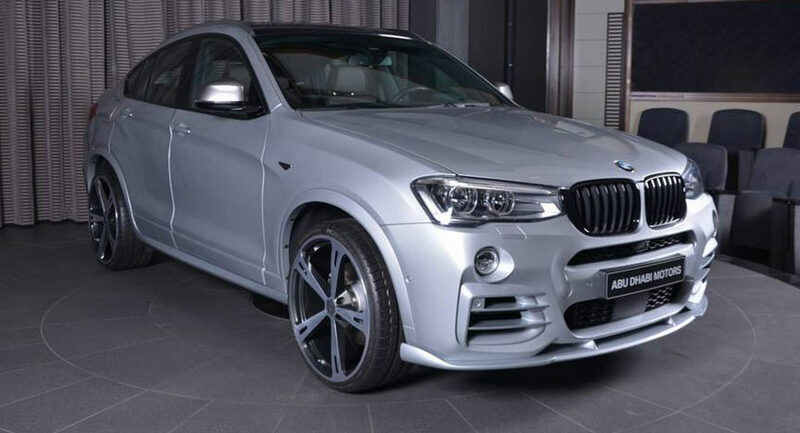 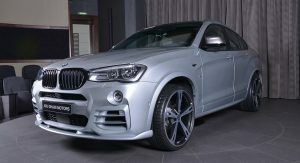 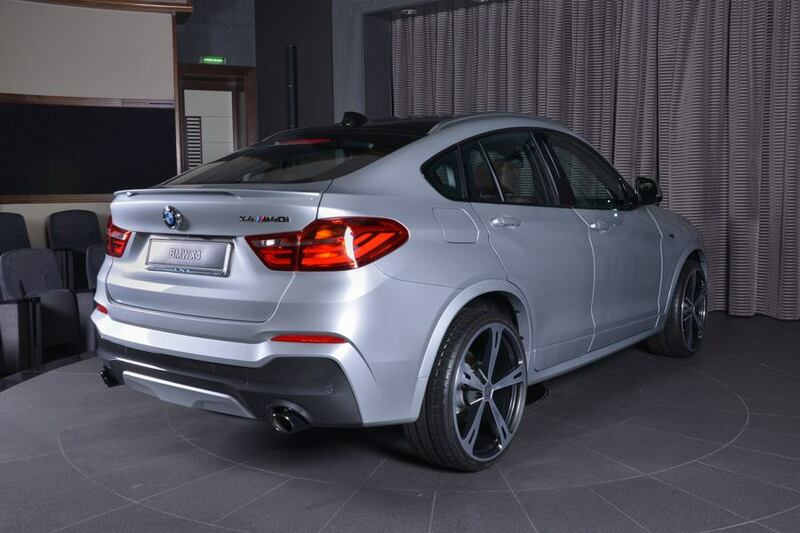 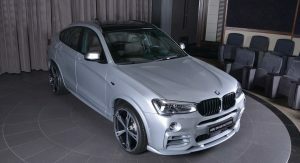 Those who want to further advertise the potency of their X4 can opt to install custom aero bits from the likes of Hamann or M Performance – just like we see on this car courtesy of BMW Abu Dhabi. 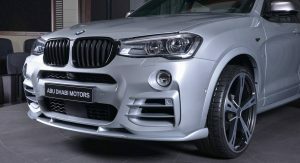 It’s got a Glacier Silver exterior, fitted with a Hamann front competition spoiler and Hamann air inlet covers, to go with the M Performance black kidney grilles, boot spoiler and metal pedal set. 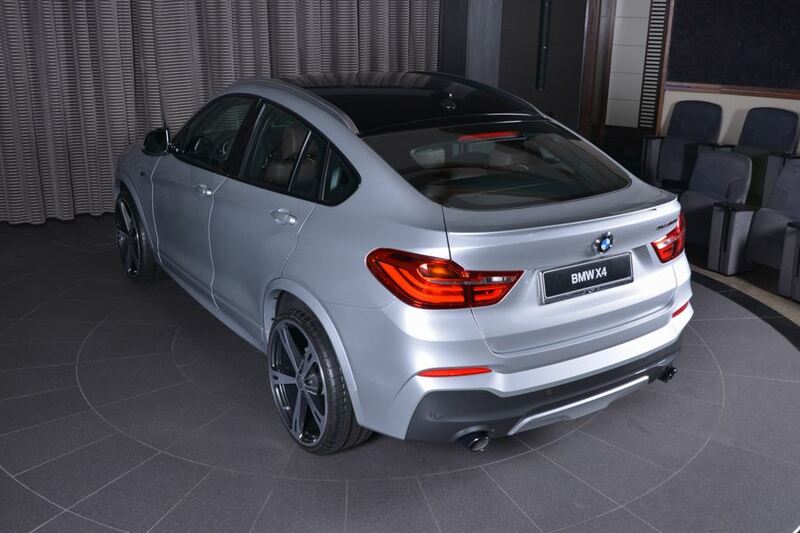 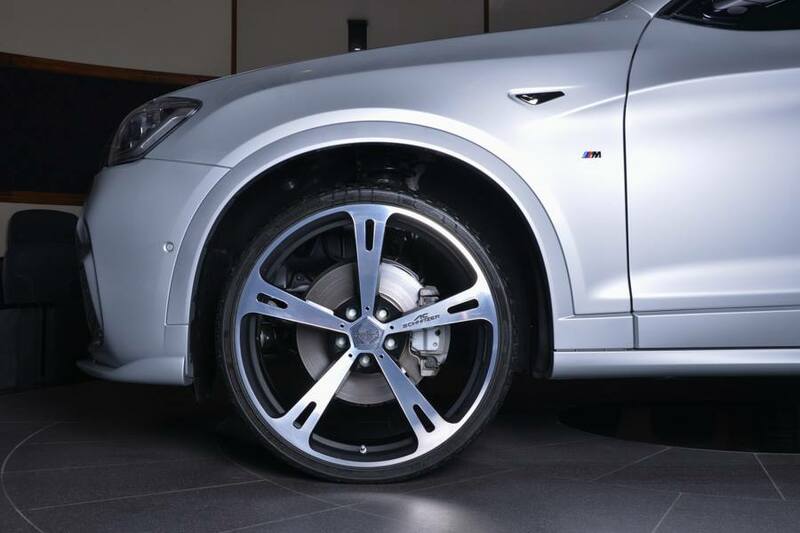 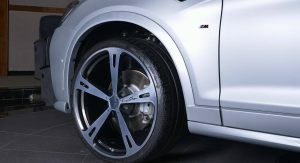 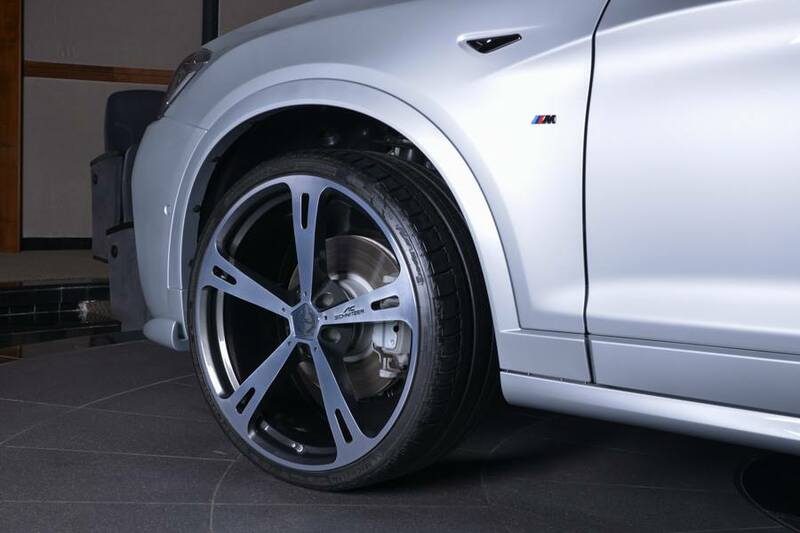 Those massive wheels by the way measure 22″ and are made by AC Schnitzer. 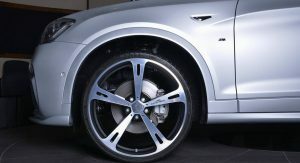 Ridiculously small brake discs inside ridiculously sized wheels, that don’t have enough rubber to full fill out the wheel arches. 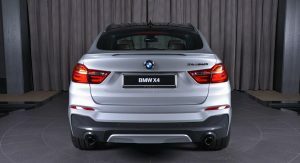 Lower vents should be black to match the grill. 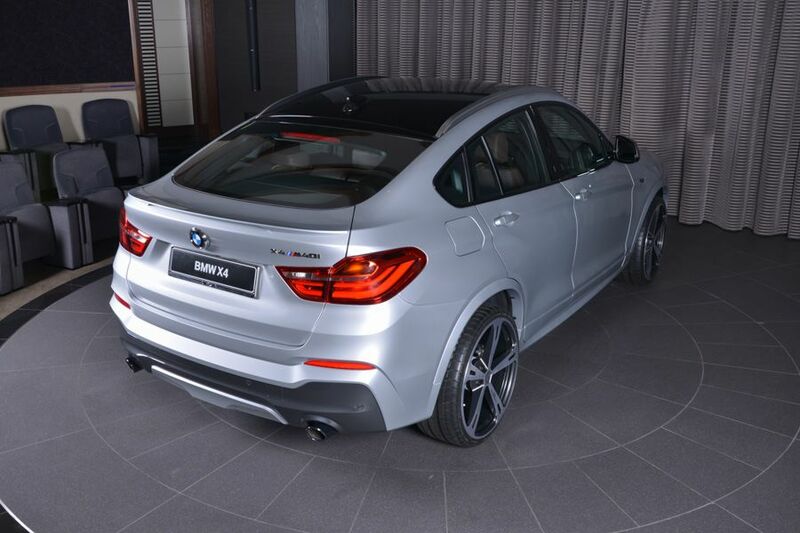 There’s too much silver here. 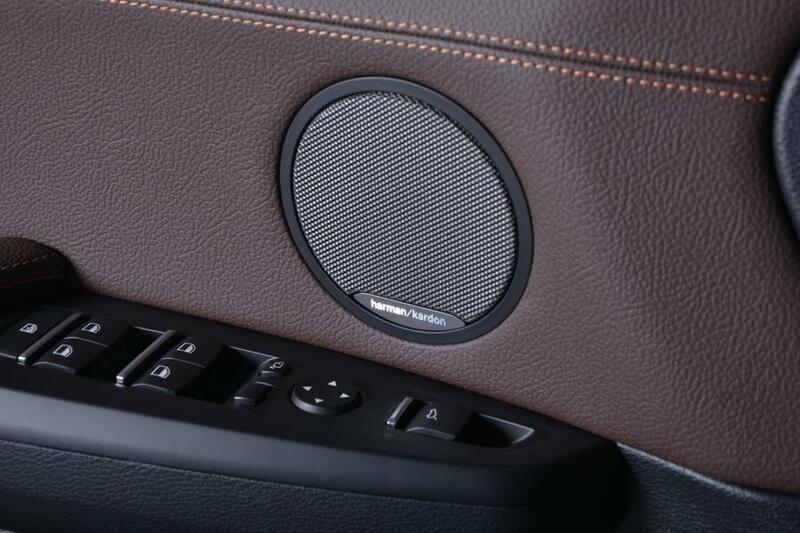 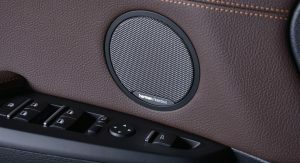 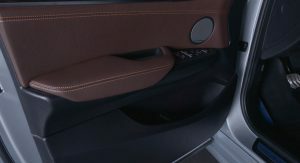 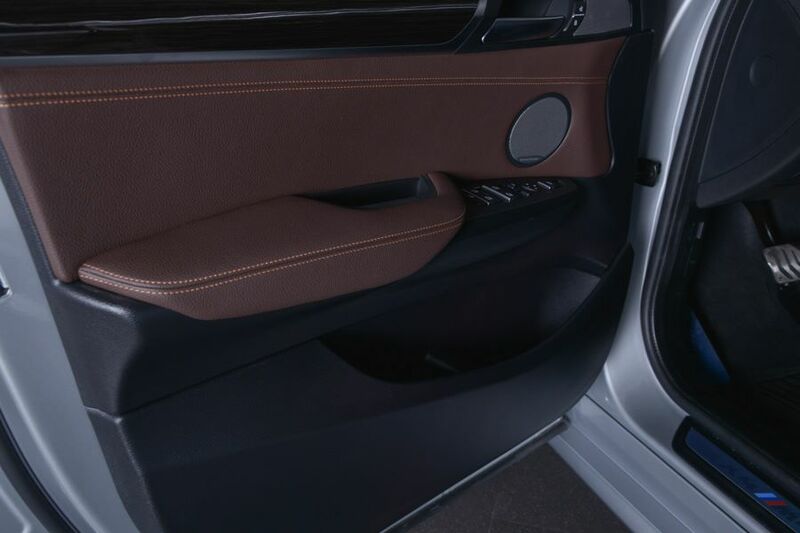 they should also switch to vertical slats to match the Kidneys or mesh to match the middle vent.